Every Netball club or school has to fit out its playing courts to specific standards and specifications. It wants equipment that meets those requirements but will also last and can be used for valuable custom branding. 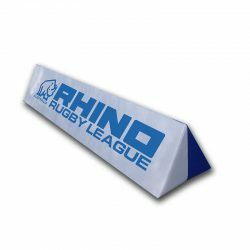 The advantage Rhino Australia can personalise and customise your field accessories to include your club logo, or your sponsor’s, to give it exposure, valued-added benefit or provide you with extra income for the privilege. It’s another example of the <a href=”custom-branding/”>personalisation</a> we can offer.